The ULU is a traditional knife of the Far Northern people (Yupik and Inuit) used for a wide range of cutting tasks, slicing meat, fish, skinning and cleaning Seals as well as the manufacture of clothing, skin boats and preparing hides. They were a versatile and practical tool and have benefits over traditional knives, in the fact that the blade 's cutting edge can be pressed down directly, rather than at a distance, as with a standard knife. They are not practical in all situations, but particular in food prep they are excellent. 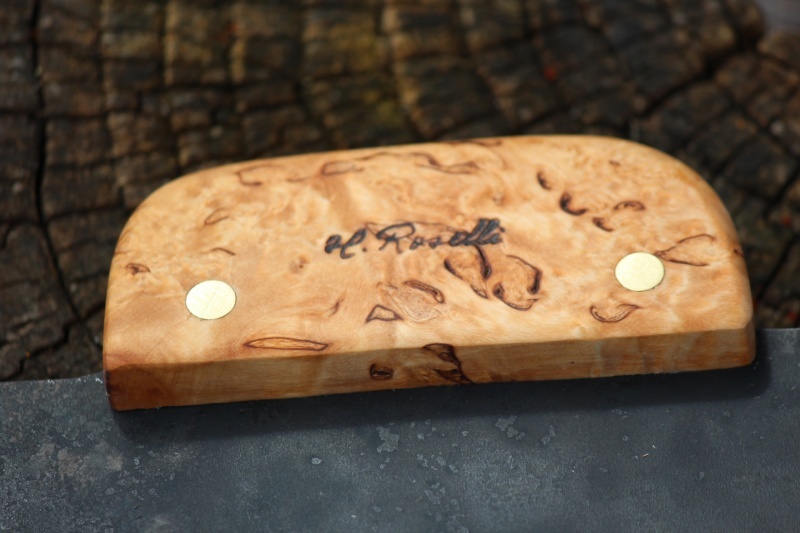 This one is high grade curly birch, with forged carbon steel blade and brass rivets. Comes with birch holder. 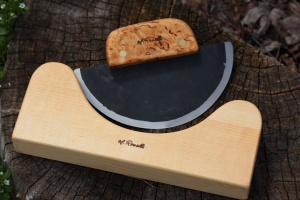 Blade width along the top edge is 185mm and radius is 85mm. Do not put this in the dishwater or soak, but rinse and dry. 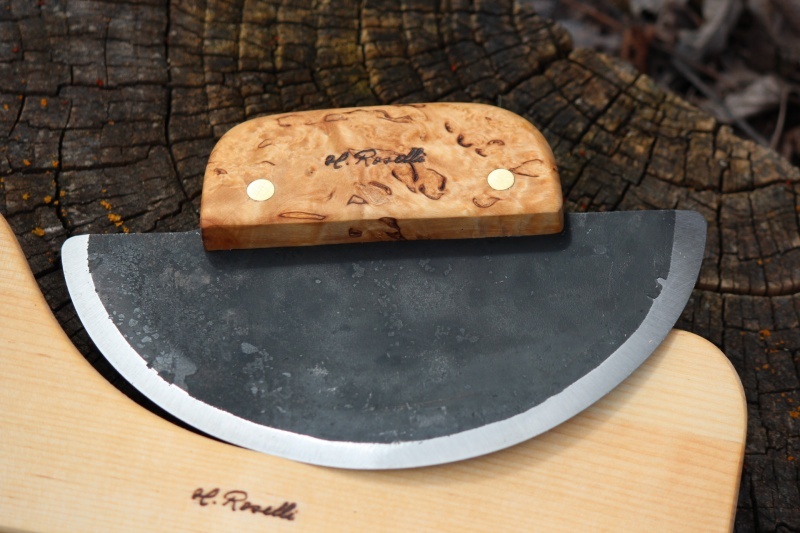 Purchase through PayPal by using the "Add To Cart" button above or use the form below to order the Roselli ULU . Feel free to contact us if you have any questions about the Roselli ULU .